Lion Ark is in the final stages of production, so this is your last opportunity to be a part of this incredible film. We are urgently looking for support for the final stages of the production which include color work, the sound mix, mastering the digital cinema package, and getting the film out to film festivals. Any contributions of $500 or more will be acknowledged in the film’s credits. A very warm feeling knowing you have helped create something special! Especially when you see your name on the big screen! You can use your acknowledgement for yourself or to remember a loved one, including beloved animal companions, and also to promote your animal protection group, sanctuary or business. This is an opportunity to help make a movie that will change the world for animals used in traveling circuses. Help finance a worldwide change, and have your name forever associated with this important movie. 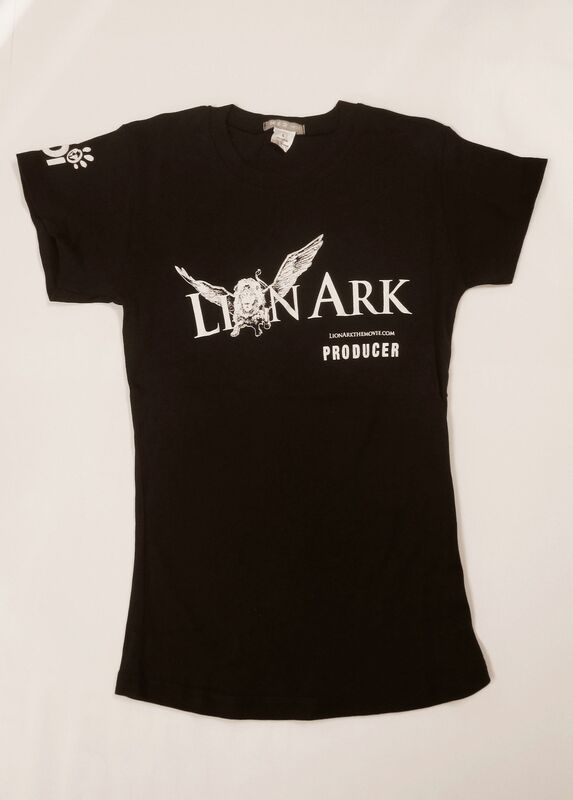 All contributions over $65 will receive a limited edition “Lion Ark Producer” T-shirt.